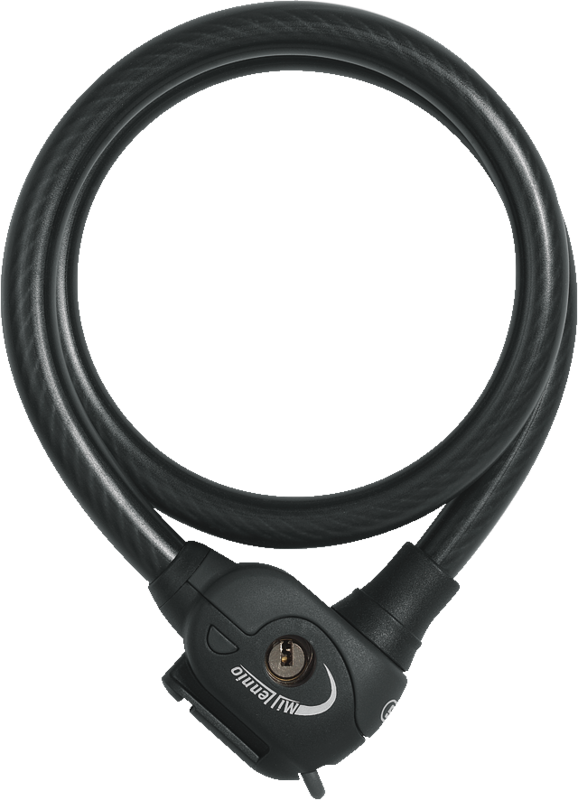 You can order the ABUS Cable Lock MILLENIO 894 PHANTOM with several one-key-fits-all locks. With the ABUS Cable Lock MILLENIO 894 PHANTOM, you are well secured in situations with a low risk of theft: a 15 mm-thick coil cable makes an impression. Because the cable lock is 85 cm long, you can use it flexibly to lock up your bike or even tie two bikes together. Some ABUS customers also use the Cable Lock MILLENIO 894 PHANTOM as a second lock. They use it to secure bike accessories to their bike so they cannot be removed. Some also use one lock to secure their bike to the bike rack and the second lock to lock their child's bike to their own, for example. Because the ABUS Cable Lock MILLENIO 894 PHANTOM weighs just 540 to 560 g, it can easily be brought along as an extra.